Our smartphones can help us order pizzas, hail cabs, and even detect heartbeats, so you’d think it’d be easy to record a simple phone call. Sadly, that’s not the case. Despite what you may think, recording a call isn’t as easy as merely pressing a button on your iPhone — in order to get it done, you’ll need to install an app. 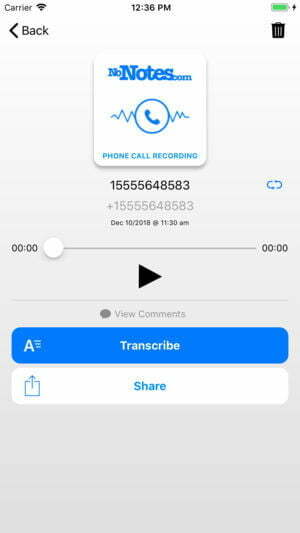 There are tons of these littered across the Apple App Store and the web that claim to show you how to record calls on an iPhone, and while many of them promise crystal-clear quality for free, very few live up to the claims. Surprisingly, Google Voice, in addition to helping you filter out unwanted calls, will record incoming calls for the stellar price of zero dollars. The only setbacks are that Google doesn’t allow you to record outgoing calls — only incoming ones — and you have to port your phone number over to Google to get access to the recording feature. 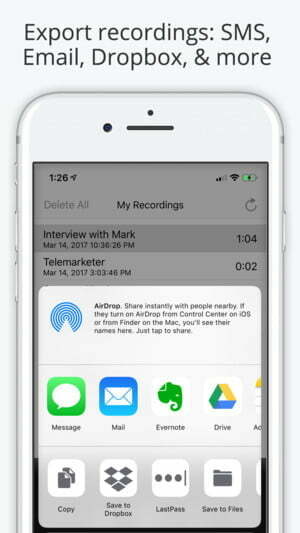 This makes it rather inconvenient if you’re hoping to record any conversations that you need to initiate, or if you like your current carrier. 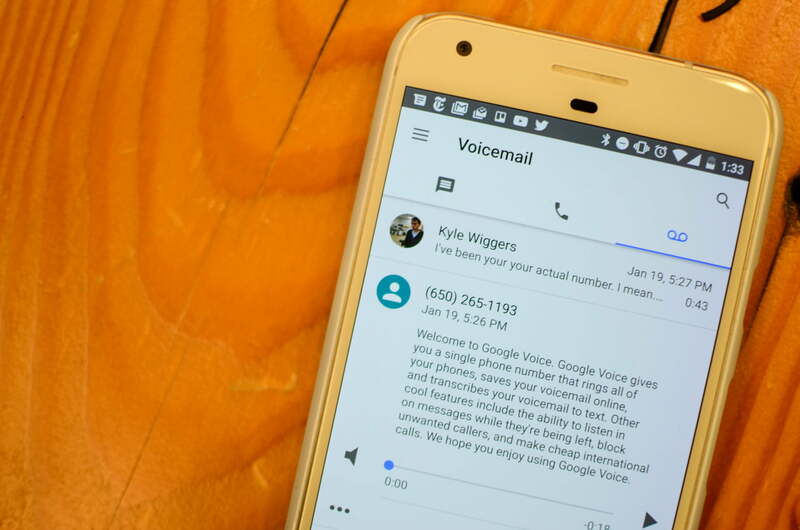 Read our guide on how to set up Google Voice if you’re not familiar with the app. To start recording incoming calls with Google Voice, you first need to set up an account. This is extremely easy — just head to voice.google.com and follow the instructions. 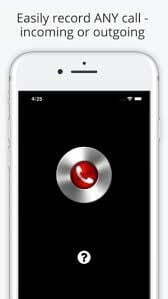 Once your account is up and running, the next step is to enable call recording so you can record and automatically save your conversation as an MP3 file. Step 2: Click the three-dot icon on the left-hand menu and select Settings from the resulting menu. 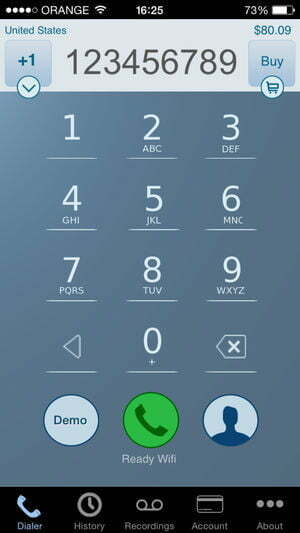 Step 3: Scroll down to the Calls section and make sure that Incoming call options is turned on. Tap Menu in the top-left corner of the app. 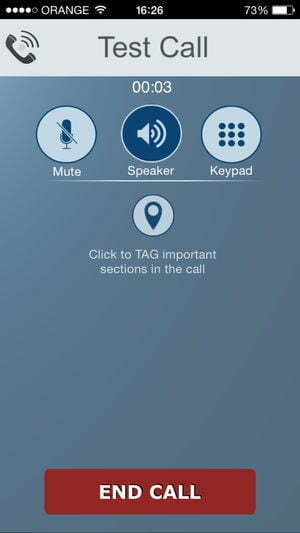 When it comes to recording both incoming and outgoing calls, you’ll need to use something other than Google Voice. There aren’t too many free options out there, but there are quite a few options if you’re willing to shell out a few bucks. We’ve tested out some call recorders, and we believe the four options below are the best. 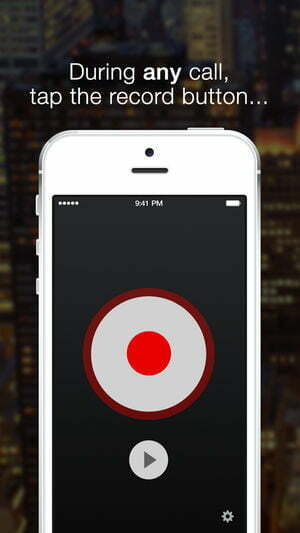 If you’re only looking to record a single call, this app is probably your best bet. After you download it and sign up for a NoNotes account, you get 20 minutes of call recording for free each month. If you go over this monthly limit, NoNotes has a variety of pricing options: You can pay $10 per month for unlimited use, or $96 for the year. If you only need a little bit more time, you can pay 25¢ for each additional minute. If you need transcription services, you’ll pay 75¢ per minute, or you can purchase bulk blocks starting at $45 for an hour. You can also save calls in the cloud and access them later, in the event that you need to return to an older conversation. If you don’t mind shelling out some money up front for a good app, spring for TapeACall Pro. For just $11, you get unlimited call recording time, regardless of who or where you’re calling, for one year. The pricing has changed recently and it’s a little confusing. Renewal appears to cost $4 per month or $30 per year for unlimited calls. 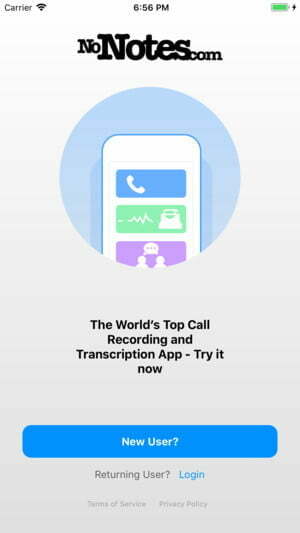 It works a bit differently than the other options listed here — for incoming calls, you initiate a recording by putting whomever you’re speaking with on hold for a moment, and then opening the app and hitting the record button. Once you do all this, the call is merged and stored with a remote recording service. 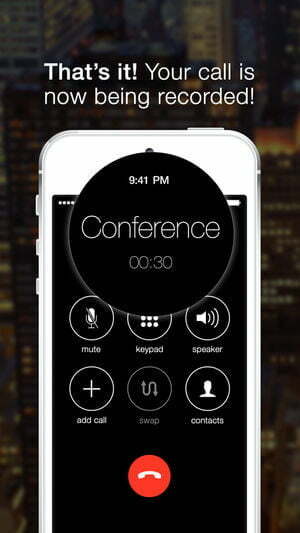 For outgoing calls, you open the app, hit record, then call whomever and merge the call. 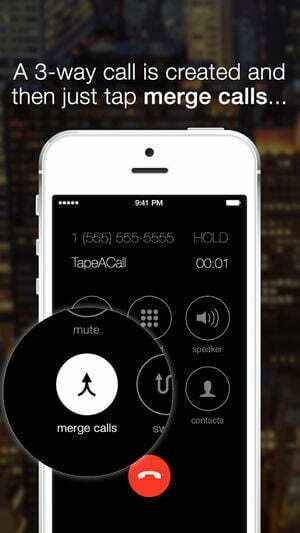 Unlike other services, TapeACall Pro doesn’t notify the other party that you’re recording the conversation. 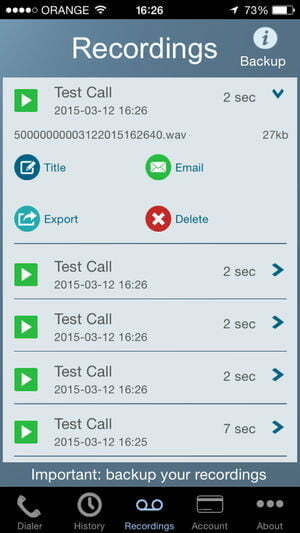 When you’re done recording, you can access the stored audio file directly on your smartphone. 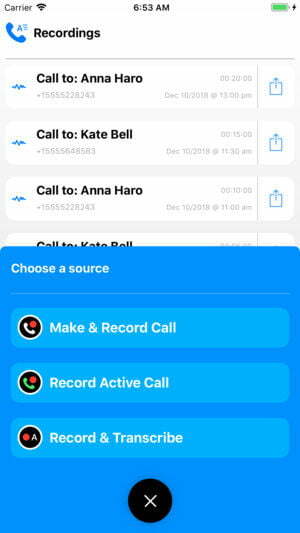 You can record incoming or outgoing calls with this app, but it does require you to set up a three-way call by putting your call on hold, dialing in the recorder through the app, and then merging the calls, which is a bit of a hassle. On the other hand, it does mean you can start recording calls that are already in progress quite easily. 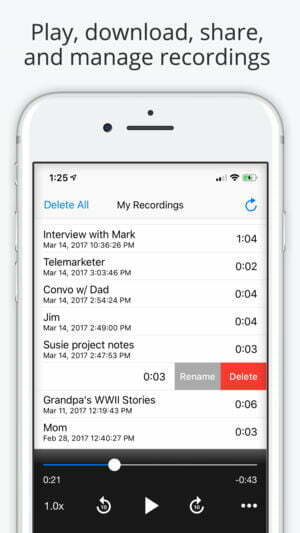 It’s a reliable service that makes it simple to manage your recordings, and you can download them and share them via SMS, email, Dropbox, and other apps. The $10 fee will get you 300 minutes, but you can also buy 150 minutes for $5 or 30 minutes for $1. With one of the cheapest pay-per-minute rates, IntCall might be a better choice depending on the specific country you’re calling. Additional minutes can be purchased for $5, $10, or $20, and the cost per minute varies in each country. We definitely advise checking out the price list before you buy anything, but most countries can be reached for 10 cents or 20 cents per minute, which makes it more of a bargain than the pay-per-minute plans offered by NoNotes. The only downside is that it works through a VoIP line, meaning you’ll need to be connected to a Wi-Fi network in order to use it. The final option is to pick up a dedicated voice recorder designed to plug directly into your smartphone’s 3.5-millimeter jack or connect via Bluetooth. Products such as the Koolertron Phone Call Recorder ($33) will do the job, but if you have a newer iPhone, you may need to use the lightning-to-headphone adapter. You may also consider the Waytronic Bluetooth Call Recorder ($36) if you want something that connects wirelessly, or if you want something higher quality that plugs in via the headphone port check out Techerific’s Digital Voice Recorder ($120).